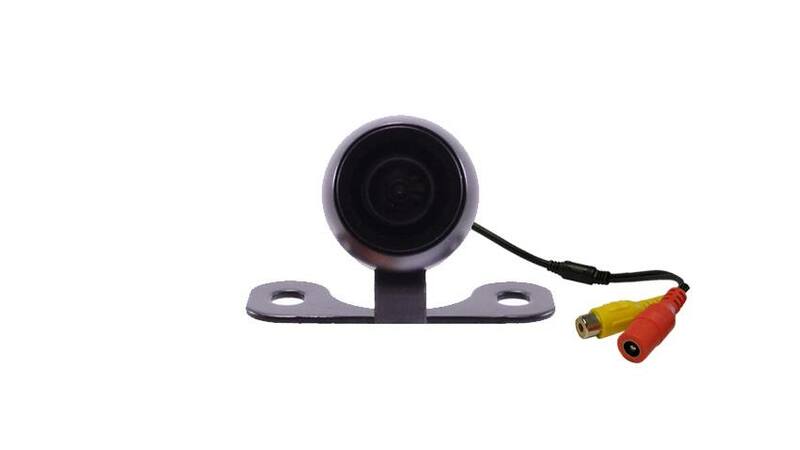 This Front facing camera shows a non-reversed image on you monitor, what this means is that it’s meant to be placed in the front of your vehicle either on the bumper or in your grill. It is a perfect safety accessory for every vehicle because it will who any small object or children that are short then your car’s hood. All our front facing cameras feature 120 degrees viewable and have military grade night vision. You can even leave the camera operational while you’re driving. Keep in mind that you can make it a full system by adding a monitor in the “Customize and Upgrade” section at the top of the page or add any of these cameras a 2nd camera to any of our monitors 7-inch and up. There is no doubt that an outdoor, car-mounted camera is going to have to take some abuse. There are going to be times when objects hit your car; that's just a fact of life. If one stray pebble happens to crack your camera's screen, then you just wasted your hard-earned money on nothing. Our cameras are built from rugged materials to ensure that they withstand the rigors that are to be expected on the road. Additionally, the weatherproof casing means you can keep your Front Facing Car Camera on, rain or shine. Whether you just need one Front Facing Car Camera to increase your forward visibility or a full multi-camera system for a large vehicle, Tadi Brothers has you covered. All of our quality cameras and monitors are compatible with each other, so feel free to design a custom camera system to meet all of your needs. If you need help choosing the best camera for your individual needs, or if you have any questions about any of our products, feel free to call our knowledgeable staff 24/7 for assistance. Informed professionals and consumers turn to us for their Front Facing Car Camera needs because they realize that buying from a specialist always yields better results than shopping at a chain store. To us, customers are more than a number. We are confident that you will be pleased with the quality of your camera, the low price and our expert customer service. Order online today or call (866) 966-5550 for more information. "Wanted to add a second cam to my back-up system I got from tadibrothers - and wow they have front facing camera options that display the picture the right way on my monitor I got from them. I went with this frontal cam because liked the small housing."